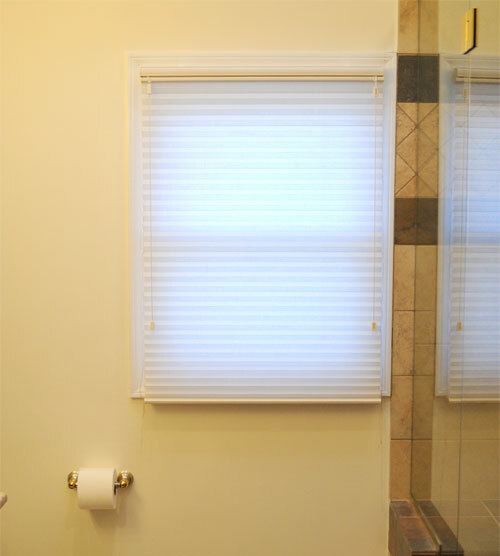 You remember the horror of your window treatments when we moved in right? They quickly got ripped down but I did leave in place a few of those cellular blinds. They are functional but rather bland so I thought I’d try a spice one up and make a custom roman blind with NO DESTRUCTION to the cellular blind. 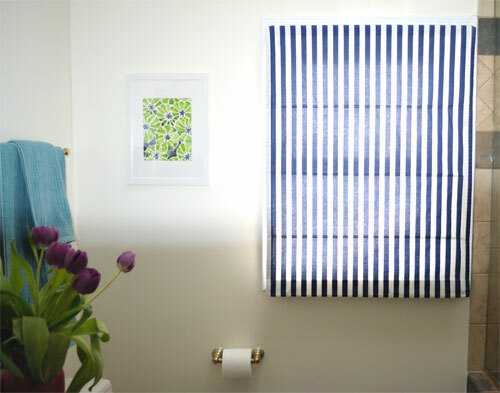 How great is that, particularly if you are in rented accommodation and want to make the place more “your own”. Or if you are a decorator and you tire of a fabric..you know how that goes. Add 5″ to the width and 10″ to the height. Cut out a piece of fabric to these dimensions. 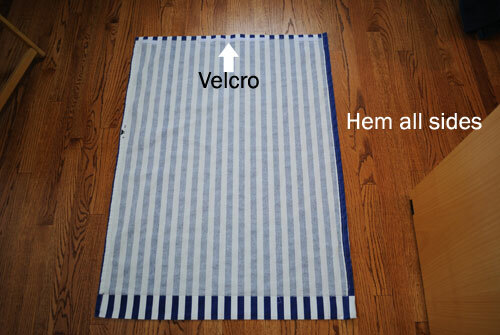 Hem all sides so that you final fabric is 2″ wider than the cellular blind and sew a strip of velcro across the top of the fabric. Using a hot glue to stick the other half of the velcro to the top of your cellular blind. 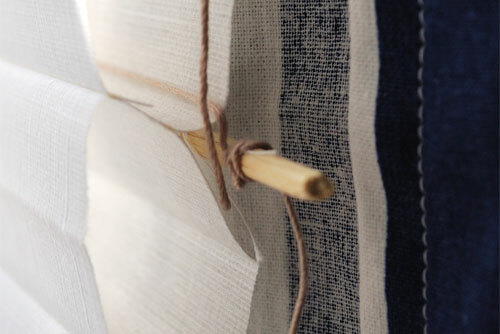 Cut your dowels so they are about 1″ less than the width of your fabric. Work out how many fold you’d like your blind to have and measure position the dowels on the back of your fabric so they are evenly spaced. 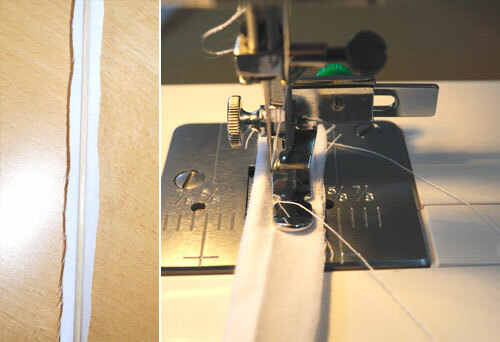 Pin into place then sew, again using a zipper foot …this is the trickiest part of the whole project.Snip any excess fabric away from the dowel sleeves. 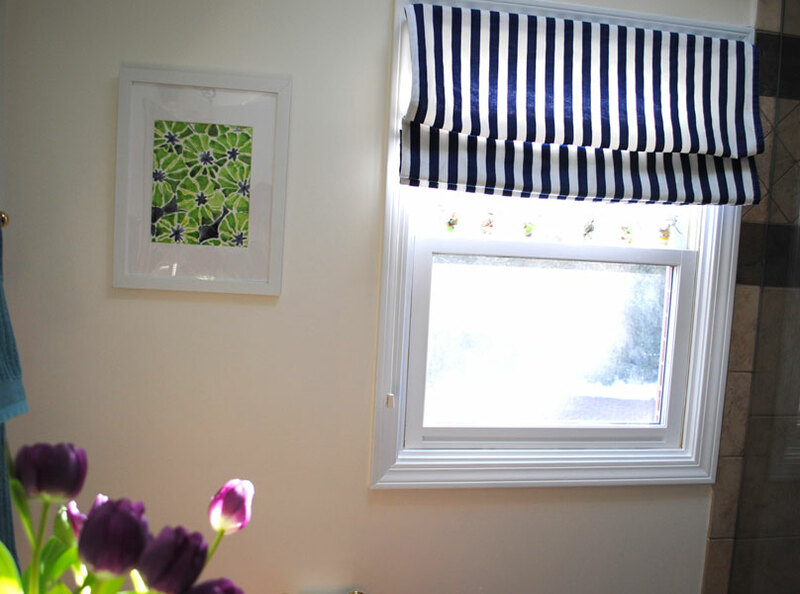 Congratulations you now have a roman blind …now to hang it! Attach the fabric to the top of the cellular blind using the velcro you have already glued up there. 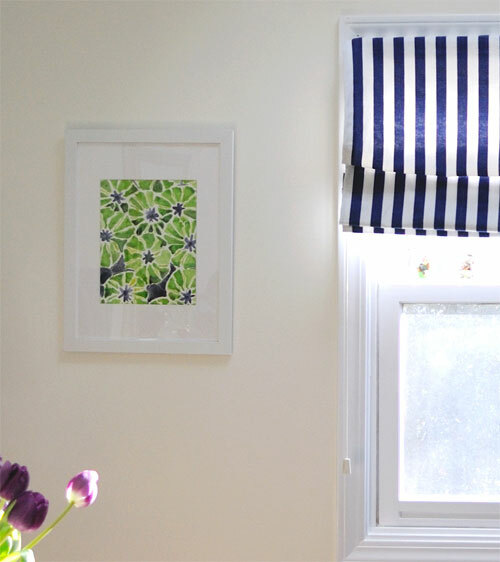 Take a look at the side of the blind and see which cells lie closest to your dowels. Mark these cells with pins and then pin the fabric out of the way to give you space to work. Cut lengths of lightweight string about 15″ wider than your cellular blind. Tie one piece around a small magnet. Insert into one of your marked cells then use the other magnet to pull the thread through the blind until it pops out of the other side. Repeat for all your marked cells. 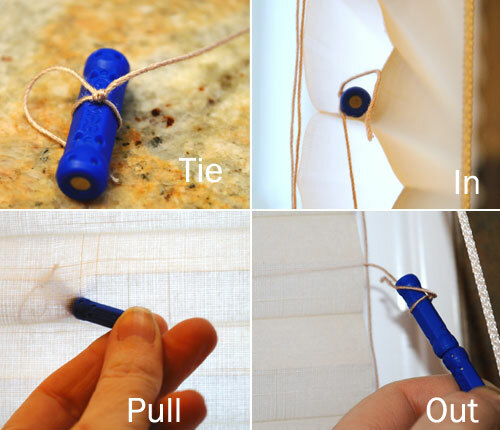 Unpin the fabric and tie the thread you have just threaded to the dowels. The blind is fully operational using the mechanism from the cellular blind. 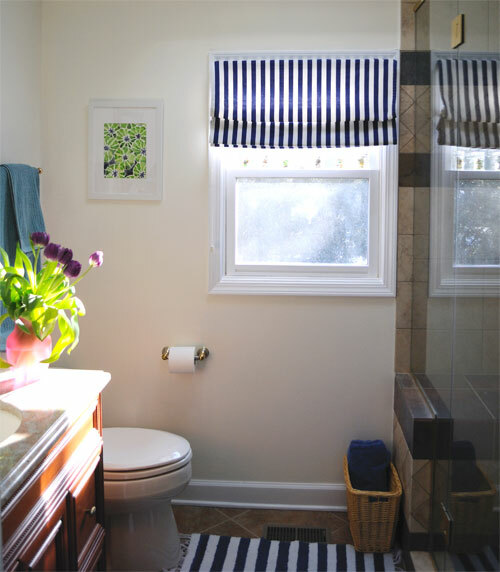 This entry was posted in Craft Projects, Home Decor, Sewing, Windows. Bookmark the permalink. 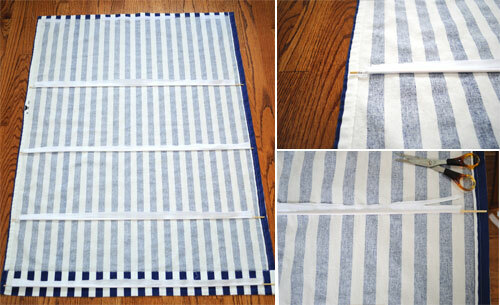 The stripe fabric is fun, too. What a great idea! We have similar shades in our bedrooms and they are very vanilla, time to spice them up!